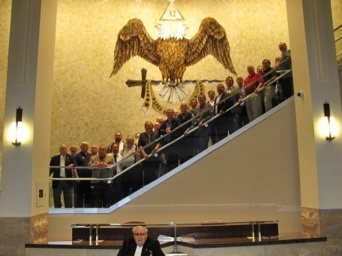 About a month ago, my home lodge, Waukegan 78 of Waukegan, Illinois got an invite to visit the new Scottish Rite building in Bloomingdale, Illinois for a tour and a “thank you” dinner for being a lodge in the early days and helping build the Rite in the Chicago-Land area. Back then there were actually two Valley of Chicago Scottish Rite bodies—one eventually giving out to the other and merging I believe. Anyway, we chartered a bus and about 25 of us went down to see this new building. Upon arrival, we were greeted by Brother Paul Scheeler, the membership chairman. He gave us some history, some good stories and a tour that I would not soon forget. I had up to this point, been involved with the Royal Arch, Cryptic Council the Commandery, and of course the Blue Lodge, where I am now a Senior Deacon and in November a Junior Warden. I had taken my time to check this out, meaning the Scottish Rite. 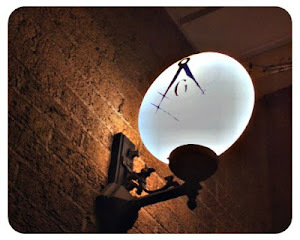 In fact most recently I had a small exchange of emails from Brother Todd Creason, about how his whole “33rd thing” went. He of course couldn’t tell me much, but he had me intrigued. I decided that I would wait until this tour before I decided one way or the other. That night, after seeing the private library and the museum, I stopped my friend and companion Brother Frank for a petition, he too was recently honored with receiving his 33rd--he's the 4th or 5th from my lodge to receive that honor if you can believe that. I have to say, the extreme craftsmanship to which everything had been put into place was amazing. The sconces and chandeliers all had the double headed eagle, embossed and in gold. It was incredible. Items around the lodge had even been salvaged from the previous building including this chair on the right which cost about five-thousand to restore. It’s a strange piece too, in fact the cushioning is made from horsehair. The lodge room was huge! The floor had a very nice wood checkered pavement which gave off the high gloss of a basketball court. The lighting was perfect and all with the most state of the art electronics in lighting and sound, including a monitoring system so one can watch the proceedings in any room of the building, including the billiards room, green room, or any other room for that matter. The is even some history behind the masters chair, being used in Illinois public office. At first I asked a few of the brothers who were with me, how they managed to get this building built, I was use to some of the struggling lodges in the area and around the country which have next to nothing in the bank for operational costs. Brother Paul Scheeler opened my eyes to a rather elementary reason to which I had not even thought of. The Valley of Chicago is the only Scottish Rite facility in the area, so of course they have anyone in the area who wants to be affiliated join there Chapter or Valley. It became obvious then why and how they accomplished this most breathtaking of buildings. However I am told that there are many other Scottish Rite buildings that are also magnificent, including some amazing ones down south. 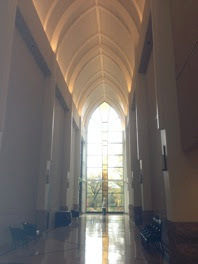 This was my first visit so I was awestruck. The museum was home to many artifacts that were acquired by brother Paul Scheeler himself. He is a self described protector of treasures. Treasures like this large portrait you see to the right, which is 3 scenes from the bible which were then bordered in a tin sculpture which is also embossed through out. Above it is a fire wall which will drop down to protect it from fire or water. The theatre was also quite amazing. It can seat a few hundred and whats more was the huge production/back stage area. It was home to backdrops that were completely three-dimensional, so much so in fact that even up close they fooled my eyes. 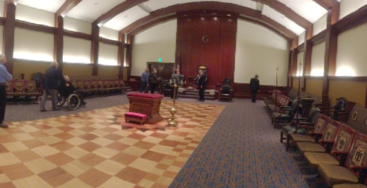 I can only imagine what they will look like in November for the Reunion of which I am happy to report will be my first degrees into the Scottish Rite. A special thanks to the VOC and to Paul Scheeler for the hospitality in making the visit so special.